Jesus was tortured and humiliated by the pride and self-will of people. He accepted this fate so as to overcome human destructiveness. His humble attentiveness to God allows God’s power to be active and recreative. Beginning at 3.00pm and ending at 5.00pm. There will be a number of priests from the surrounding parishes in attendance and so we ask that people would avail of this opportunity to make their Easter Confession. 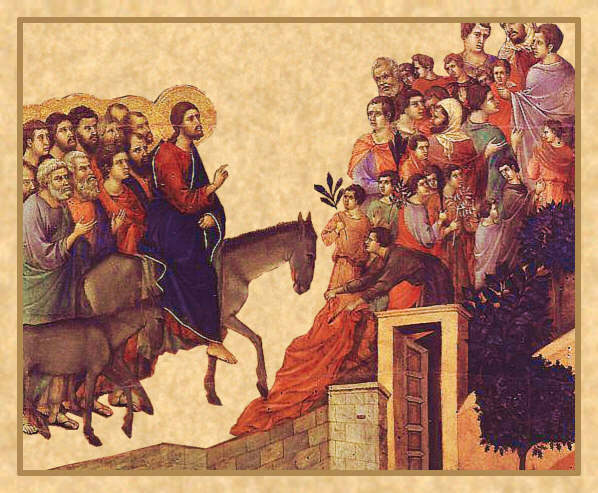 As Holy Week approaches we encourage parishioners to attend the different liturgies and celebrate our gift of faith and the extraordinary love of God for each one of us. This year’s Chrism Mass will be Celebrated at 7.30pm. We encourage as many Parishioners, their families, and friends to join with us for this very sacred and special occasion. MORNING PRAYER OF THE CHURCH 10.30 am. Holy Hour at the Altar of Repose 11.00pm followed by an ALL NIGHT VIGIL at the Altar of Repose. STATIONS OF THE CROSS which will include readings, intercessory prayers and quiet reflection. Lord, may your spirit guide me to seek Your Loving presence, for it is there I find rest. Amen. 1st Reading: Acts 10:34 37-43. 2nd Reading: Col. 3:1-4. Sincere thanks to all who have so far returned their charity tax form. The closing date has been extended to April 5th. Please return your form before this date if you have not already done so. This is a vital source of income for us in these difficult economic times. Thank you. 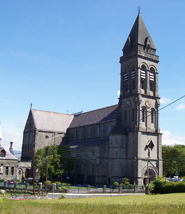 Please note that the Chapel of Adoration will close at 1.00 pm on Wednesday next, March 27th and re-open on Tuesday, April 2nd after the 8.00am Mass. We would like to take this opportunity to wish all our Adorers a most sacred and blessed Easter. The Altar Society would be most grateful for either donations or flowers for Holy Week and Easter. Many thanks to all. As is traditional the Easter Sunday collection is one of four each year dedicated to the SUPPORT OF THE PRIESTS. We ask you please to give as generously as you can so we can meet the cost of the Priests salaries. Thank you. Please remember to return your Trócaire Box at any Mass or ceremony over the coming days. If you would like to contribute but have yet to do so there are still a number of Boxes available in the Cathedral Sacristy. Thank you. Please watch out for the next edition which will be available over the coming days in our Cathedral. The Angelus keeps us informed and up to date with happenings and issues throughout the diocese. The season of Easter is a time for growth in faith, – a time of handing on the faith. Important examples of this are First Communion and Confirmation. Throughout the coming weeks many boys and girls together with their families and schools will be busy preparing to receive these Sacraments. Let us pray for them over these weeks of final preparation and reflect in our own lives on how we can engage in deepening or handing on our faith. BRIDGIE CLANCY late of Killery, Ballintogher, sister of Matt Clinton Knocknarea Villas. Wednesday 27th March: 8.00 am PADRAIG & LUCY CONNOLLY & Deceased Family Members. TONIGHT’S JACKPOT €1600!! Tonight, March 17th at 9pm. Raffle at interval with refreshments available. All welcome! 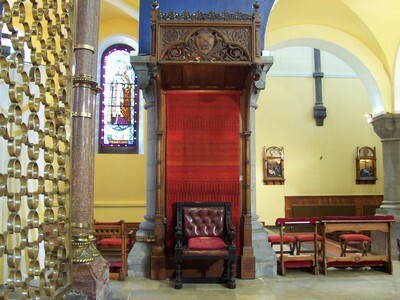 Email us at information@sligocathedral.ie We welcome your comments. Thank you. The offices of the Society have moved back to Oznam House, John St. Office hours Monday, Tuesday, Thursday & Friday 11am-1pm. Closed Wednesdays. Continue on Monday, March 25th at 8.00 p.m. in the Cathedral Sacristy. All cast please attend. Thank you. 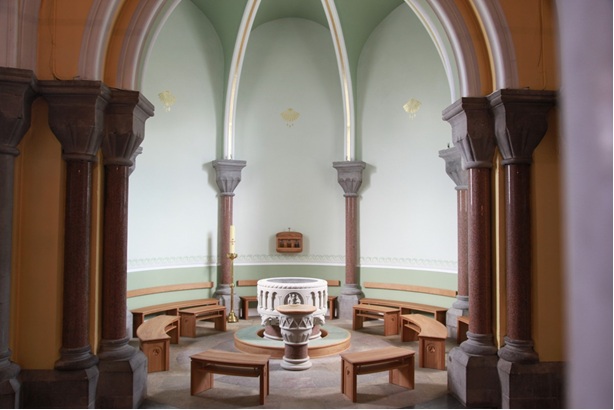 If you plan to have your child Baptised during the month of March or subsequent months you must now undertake a one night Baptismal Course which will take place in St Michael’s Family Life Centre, Church Hill on the third Thursday of every month at 8pm. To book a Baptism and register for this course please contact the Parish Office on 9162670. It is necessary to attend this course prior to the Baptism of your child. Three newly qualified social workers are volunteering this summer in Romania in a children’s orphanage which has been organised by a University College Cork lecturer who herself has close links to this orphanage. They will be volunteering during a summer holiday week for the children. This is the highlight of their year. Money raised will pay for the clients part of the holiday- bus, ice cream and a little present. Anything left over will goes to buy them a birthday and Christmas present each. Also, this fund is used to pay for medical expenses and bus fares so that their families can visit them. The other fund is for the building of a therapy unit and a paediatric hospice. The collection of unwanted clothes from people are exchanged for cash. All money raised goes directly to the charity. All flights, accommodation, vaccines are self-funded. Your help is greatly appreciated – please contact 087 411 9545 for more information. With the reported increase in burglaries it is very important that the elderly protect themselves and their property. Three 4th year Business Students from I.T. Sligo Catherine Brennan Sligo, Karl O’Brien Donegal and Brian McMorrow Letrim are organising a Safety and Security awareness seminar. If you want information on how to improve Security and Safety in your homes this seminar is a must. Information will be available on Entitlements House Alarms, Carbon Monoxide Alarms, Smoke Alarms, Panic Buttons, Security cameras, Locks and Security Lighting. FESTIVAL OF FAITH The next Subgroup meeting will take place on Friday next (22nd) in the Friary at 12pm. CAR BOOT SALE In the Cathedral Car Park on Sunday 14th April. Funds raised will go to ‘For Your Soul Productions’ – a non profit theatrical company for much needed equipment. WEEKEND RETREAT with Sr. Peggy Cronin. Fri 19th 6pm (Evening Meal) – Sun 21st April 2pm (after Lunch). €150 (Residential) €80 (Non-residential) Limited places available. Book at La Verna Retreat Centre on 071 9852572.